The International Conference on Microservices (shortened Microservices) is a joint forum for scientists and practitioners to present and discuss the most recent innovations, trends, experiences, and concerns in the field of microservices. 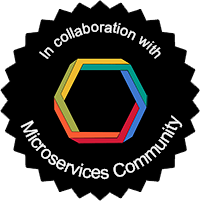 The Microservices Conference is organised in collaboration with the Microservices Community, an international association interested in the software paradigm of microservices, with the overarching aims of sharing of knowledge and fostering of collaborations on microservices. The Microservices Conference website is hosted and supported by the Department of Mathematics and Computer Science of the University of Southern Denmark.